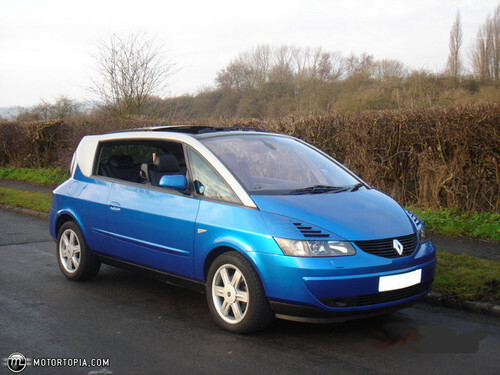 Complete digital workshop service and repair manual written for the Renault Avantime; Production model years: 2001, 2002, 2003. All styles covered (all models, and engines). This is the same type of service manual your local dealer will use when doing a repair. This manual has detailed illustrations as well as step by step instructions. All pages are printable, so run off what you need and take it with you into the garage or workshop. These manuals are your number one source for repair and service information. They are specifically written for the do-it-yourself-er as well as the experienced mechanic. Using this repair manual is an inexpensive way to keep your vehicle working properly. Each manual provides step-by-step instructions based on the complete dis-assembly of the machine. It is this level of detail, along with hundreds of photos and illustrations, that guide the reader through each service and repair procedure. Complete download comes in pdf format which can work under all PC based windows operating system and Mac also. All pages are printable. * This manual also makes it easy to diagnose and repair problems with your machines electrical system. * Troubleshooting and electrical service procedures are combined with detailed wiring diagrams for ease of use. FYI, just hit the INSTANT DOWNLOAD button near by the product picture to purchase. Paypal & Credit Card accepted. This file is sold by vallavorrax, an independent seller on Tradebit.